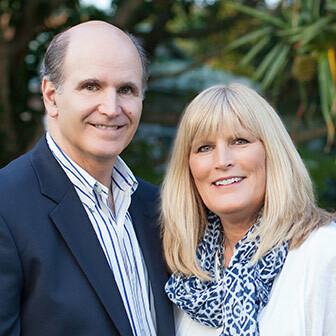 With more than 15 years in the real estate industry and 20 years as residents of the Gulf Coast, Ralph and Megg Faillace have the experience, local knowledge and expertise that their customers can count on when buying or selling their Bradenton area home. Originally from Long Island, New York, Ralph spent more than 19 years running his own successful business representing big-name sporting goods compan... more.ies selling and servicing stores in the New York City metropolitan area. He transitioned to a real estate career in 1999, working for the Wedebrock Real Estate Company in Longboat Key for seven years before joining the Michael Saunders & Company team in 2007. Ralph was recognized as the Michael Saunders & Company Relocation Agent of the Year for his company-wide achievements in sales volume for 2012. He credits his success to the remarkable customer service he provides as well as his attention to detail and ability to read trends in the marketplace, as well as to Megg, who has always played a crucial role in his success. Born and raised in Michigan, Megg spent many summers visiting Anna Maria Island, cultivating a love for the area. She has degrees in interior design, medical biology, and business management and marketing. As a nutrition and wellness specialist, Megg developed an extraordinary level of organization and interpersonal skills which have translated beautifully into her real estate career. After moving to Florida in 1994, she worked as an assistant to the director of the Anna Maria Art League planning local art shows and festivals. Always helping Ralph in his businesses behind the scene, the two worked so well together that it only made sense for Megg to join him in real estate full time. A remarkable real estate team, Ralph and Megg’s distinct skills complement each other resulting in an experience their customers will never forget. Ralph has keen negotiating skills and an outstanding ability to read the situation, while Megg has extensive training in interior design and marketing which is invaluable for showcasing a customer’s home. The two share a love of the local area and genuine enthusiasm to provide remarkable service and achieve the best possible results for their customers. Both agree that their top priority is to exceed their customers’ expectations, so they continually strive to increase their knowledge of the ever-changing real estate market by building a strong educational foundation. Married for 34 years, the couple enjoys the close-knit community of Northwest Bradenton where they raised their three children and the natural beauty of the Gulf Coast. When not focused on real estate, this dynamic husband-wife team enjoy exploring Robinson’s Preserve, taking walks on nearby beaches, playing tennis or sailing. The two are actively involved in the community they fondly call home as members of the local chambers, various charitable organizations, and as proud contributors to the MSC Foundation. ...less.